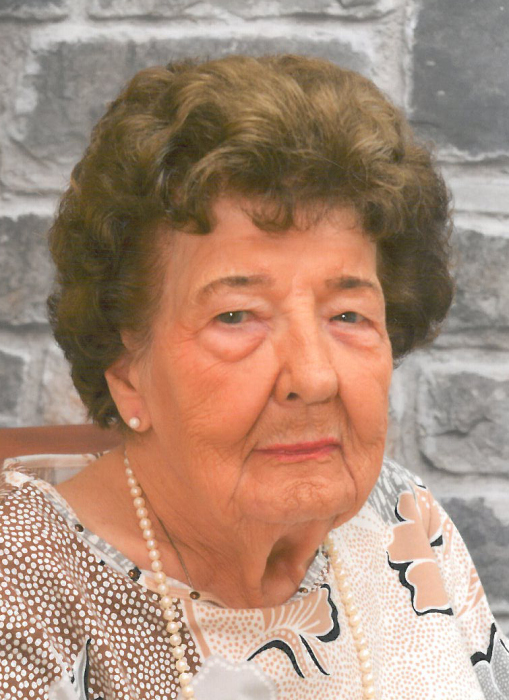 Ethel F. Ellingson, 97, a lifelong resident of Green Bay, passed away on Friday, August 17, 2018 at Rebekah Haven Assisted Living with family at her side, and met her Lord and Savior, Jesus Christ. She was born on December 6, 1920 in Green Bay to the late Charles and Louise Zehren. Ethel graduated from East High School. On June 17,1944 she married the love of her life, Robert M. Ellingson.Together they raised five children. In their earlier years on a Friday or Saturday night you would find them with friends at the Elk’s Club dancing. Many years they rented cottages during the summer and later decided to buy their own. From 1956 to 1999, they spent many happy times at Berry Lake. The initial cottage was a small shell. Mom wasn’t initially happy with it, but, Bob said he would add on to the cottage and fix it up. He renovated it several times, making it very homey and comfortable. Their cottage was the center of the family gatherings with many relatives visiting every weekend. Oh, the card playing and the midnight steaks- THE GOOD OLD DAYS!!! The cottage days were the best - always plenty of people and plenty of food, especially broasted chicken, Chicken Booyah and sitting on the deck in the sunshine and the pontoon rides!! When the years went by and it was time to relinquish the reigns, they sold the cottage to their daughter and son-in-law, Kay and Pat Olsen – who continue to carry on the family tradition. Survivors include her daughters and sons-in-law, Lynn (Richard) Kornowski, Kay (Patrick) Olsen; sons and daughters-in-law, Charles (Sue) Ellingson, Russell (Jodie) Ellingson; grandchildren, Jason (Tina) Kornowski, Corey (Laura) Kornowski, Shawn (Jenny) Kornowski, Heather (Troy) Winsand, Nathan (Angie) Ellingson, Brooke Ellingson and friend, Luke, Michael (Tiffany) Ellingson, Nicholas (Lauren) Olsen, Kari Olsen and Andrew Olsen; great-grandchildren, Aubrey, Ayla and Jaxson Kornowski, Lyla Ellingson, Avery, Gavin, Brynn and Rory Ellingson, and Quinn and Evelyn Olsen. She is also survived by her sister, Marlene Nerat and many nieces, nephews and cousins. Ethel was preceded in death by her husband of 56 years, Robert M. and son, Robert J.; parents, Charles and Louise Zehren; father and mother-in-law, Palmer and Amy Ellingson; sisters and brothers-in-law, Viola (Herbert) Staehly, Lillian (Leslie) Allen; brothers and sisters-in-law, John (Marianne) Zehren, Ralph (Gertrude) Zehren; brother-in-law, Edward Nerat; and sister-in-law, Eunice (Charles) Henry and Charles’ second wife, Shirley Henry; sister-in-law, Phyllis Minor; nieces and nephews, Judy (Gary) Stary and Karen (Bill) Magaurn, Jack Henry and Matthew Weidner. Visitation will be held on Wednesday, August 22, 2018 at Trinity Lutheran Church, 330 S. Broadway Street, from 9:00 a.m. until the funeral service at 11:00 a.m. with Rev. Rachel Knoke officiating. Entombment will take place at Shrine of the Good Shepherd Mausoleum. Expressions of sympathy, memories and photos may be shared with Ethel’s family on her tribute page at www.lyndahl.com. A special thank you to Rebekah Haven Odd Fellows Home for the wonderful care given by the nurses, CNA’s and the staff and for the many friendships there. Ethel enjoyed living there and especially loved playing BINGO, listening to the different musicians, the summer afternoons sitting on the porch in the sun, the fun gatherings during the afternoon for popcorn and to the Packer Tailgate Parties. A special thank you to the several churches that conducted the worship services for residents. It was a blessing to Ethel. Also, thank you to all the caregivers from Unity Hospice that came and helped Mom through the years she was at Rebekah Haven and especially her last days. You helped make her comfortable and eased her mind of the process of dying. She is in Jesus’ hands now and with her loved ones, Robert and son, Bob. Until we meet again!! Love you forever, Mom!!!! !